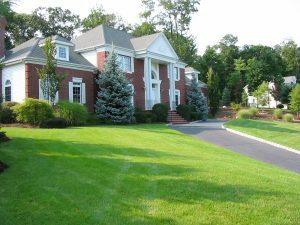 When it concerns the investment you’ve made into your home’s lawn and garden, getting professional help from a Delaware lawn care company with a solid reputation is what you need. Does your garden need a dynamic, healthier, greener appeal? Do you long for that satisfied impression when you pull into your driveway? Not many other lawn care companies take the time to bag grass clippings and take them away. We take this extra step as to make sure your lawn and flowerbeds are free of any grass debris, leaving your property with neat and tidy appearance. Hoffman’s Lawn Care service has the distinction of being able to provide just that. Our list of comprehensive lawn care services includes the important basics and more. In addition to line trimming and edging sidewalks, patios and driveways, we take care of fertilization, lawn mowing, tree, shrub and herb trimming, tree service, flower bed maintenance, weed removal, gutter cleaning services and more. Landscaping and maintaining your garden requires planning, and hard work, not to mention the time it takes for creative thought, spatially planning details, plus the expertise and knowledge of horticulture, landscaping, etc. A challenging economy means homeowners today might have limited time for DIY gardening, with demands from job, home life and a sprinkling of other interests. Looking for a Progressive Lawn Service in Delaware? Our professional maintenance technicians and staff at Hoffman’s Lawn Care can make your work easier, by helping to manage your lawn and garden for you. Our professionals are experienced in lawn cultivation, lawn aeration, gardening, landscaping and installation. You, as a customer, can rest assured in knowing that your lawn will receive the progressive lawn service and treatments, the latest quality products and equipment in Delaware lawn service. Our friendly staff and lawn care specialists at Hoffman’s will be happy to give you a detailed list of the essential services for weekly or bi-monthly lawn service that you require. All our rates are reasonably priced and competitive and our lawn care technicians are friendly and helpful in all their interactions, making sure you, the customer are satisfied with the results. Want Your Delaware Lawn Maintenance to Spruce up Your Outdoors? If your home and garden have lost their curb appeal, become lacklustre and dull, call our specialists at Hoffman’s today. We’ll be happy to give you a free estimate and explain to you how we can help your yard come alive again. The perfect lawn and garden requires professional help, and Hoffman’s primary focus is on assisting you to achieve a healthier, greener lawn. 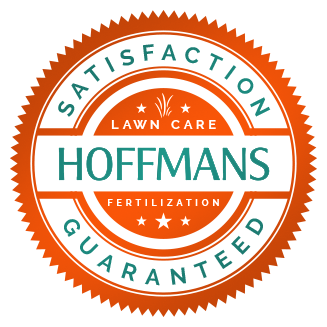 Give Hoffman’s Lawn Care a call today, and find out more about our attractive rates and top-notch service.